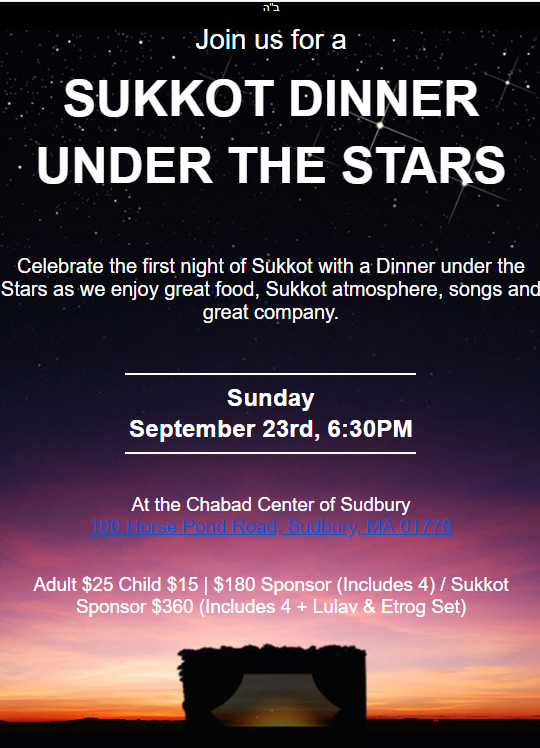 The Chabad Center of Sudbury invites you to join us for a Sukkot Dinner under the Stars on the first night of Sukkot. Enjoy a delightful evening with friends and community members as you enjoy a delicious Sukkot Dinner with songs, anecdotes and a wonderful Sukkot atmosphere. RSVP by using the form below. If paying by check or if you would like to do a sponsorship please make a note in the comments.